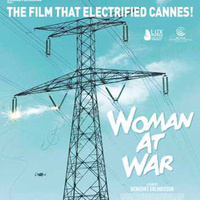 “Woman at War” will conclude the series on Monday-Saturday, April 1-6. The film tells the story of Halla, an independent woman in her late 40s, who declares a war on the local aluminum industry to stop its operations in the Icelandic highlands. In the midst of her dangerous, and at times, illegal, activism, a long-forgotten application to adopt a child from Ukraine is approved, and Halla is faced with the challenge of having this new addition to her life while still fighting for her cause. The film is in Icelandic, English, Spanish and Norwegian with English subtitles, and is not rated.